GPS | VEBLOGY Innovative Technology Pvt. Ltd.
Are you both bald AND lost? 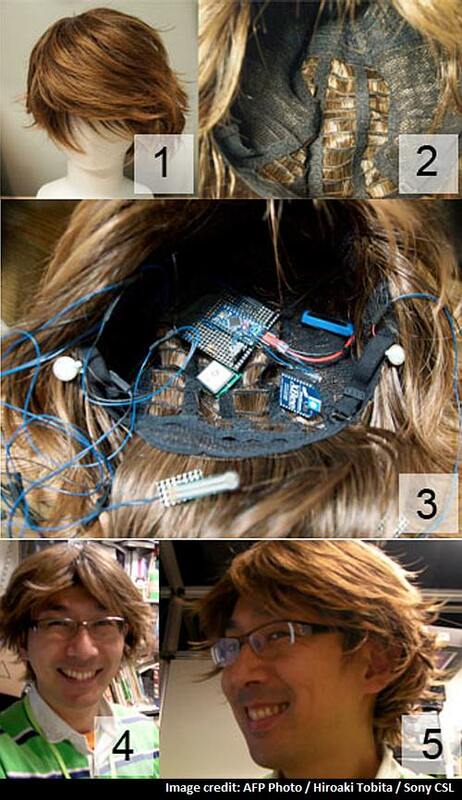 Then the new “SmartWig” from Japan might be just what you need. The techno-toupe, which can read the wearer’s brainwaves and direct them to their destination with onboard GPS, is the latest and possibly the wackiest addition to the world of wearable computing. The country that brought us world-changing hits like the Walkman and the pocket calculator, as well as instantly-forgettable misses like the walking toaster, now offers a hi-tech hairpiece. The proof-of-concept invention comes in three varieties, each specially designed to make life that little bit easier for the follically challenged. Wearers of the Presentation Wig will be able to remotely control a laser pointer from their mop-top. They can move forward through a PowerPoint slideshow by tugging the right sideburn and go back a page by pulling on the left. The Navigation Wig uses GPS to speak to satellites and guide users to their destination with tiny vibrations on different parts of the head. Meanwhile, the Sensing Wig monitors body temperature, blood pressure and brainwaves and can also record sounds and images to allow wearers to playback their day and see what set their systems aflutter. “There is a wide variety of wearable computing devices, such as computational glasses, clothes, shoes, and so on. However, most wearable devices have become neither common nor popular,” the developers said in an essay issued last year. “We think one of the biggest reasons is the style the focus has been function, not style,” said Hiroaki Tobita and Takuya Kuzi. “The goal of SmartWig is to achieve both natural and practical wearable devices,” they said, adding the “natural appearance” of their invention which can be made from human hair could prove a selling point. A spokeswoman for Sony said Thursday that patents for the SmartWig had been filed in the European Union and the United States, although there were currently no plans to commercialise the product. Despite its phenomenal success with the much-aped Walkman, Sony has struggled in recent years in its mainstay electronics business, and has been without a significant global hit. Sony’s chief executive officer Kazuo Hirai told local media last month he is pouring business resources into the development of wearable devices, which also includes the company’s second-generation smart watch. Sony’s South Korean rival Samsung Electronics has a similar device while consumer favourite Apple is reportedly developing its own “iWatch“.